On Saturday, July 17, I had the amazing and incredible experience of viewing Marilyn Monroe’s final home, located at 12305 Fifth Helena Drive, Brentwood, California. The house is currently for sale. More information about the listing can be viewed at www.davidoffer.com and www.sawbuck.com. 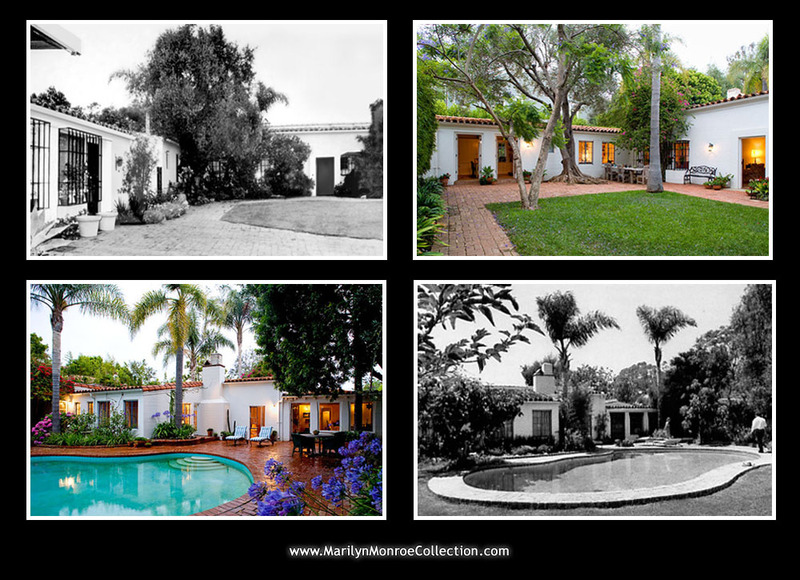 Read about my visit to the house and view photos of the home today compared to images from when Marilyn owned the property. The experience itself was an incredible one that I’ll never forget. I was pleased to see the tiles reading “Cursum Perficio” in Latin, or, “My Journey Ends Here” in English as I crossed the threshold and entered Marilyn Monroe’s home. 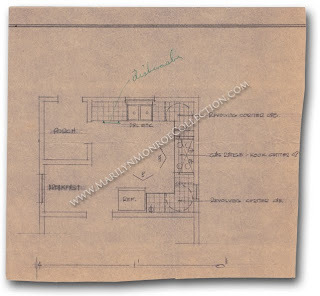 The house itself, while very similar to the time when Marilyn lived there, has undergone some significant changes. The guesthouse and main house have been joined. Several rooms have been added in the back of the house, but are not connected to the main house. The pool area remains the same, as does the terraced lower lot in the rear of the house. Many of the plants appear to be the same from the time when Marilyn lived there. I noticed that two palm trees currently in the back yard can be seen in photos of the property taken on August 5, 1962. In walking through the spaces in the guest house area, I was surprised and immensely happy to see that the tiles Marilyn selected in Mexico still surround the shower in the guest bathroom. 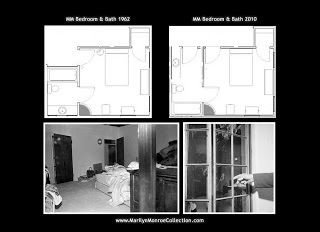 Marilyn’s bedroom has experienced some changes, primarily in that the door to the bedroom was relocated to a different wall. The area where Marilyn’s door was formerly is now a built-in book case. 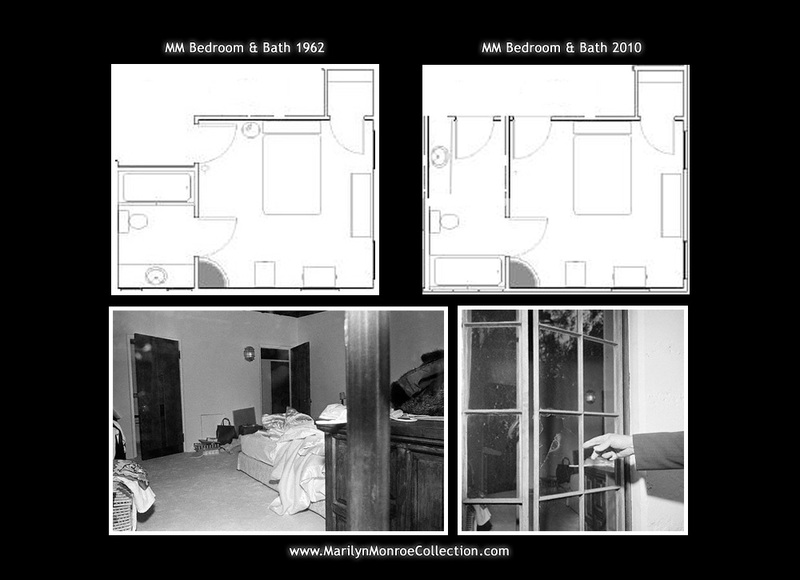 The door to the room is now immediately behind the area where Marilyn’s wooden bedside table was located. The fireplace in the room remains intact. Marilyn’s bathroom has undergone major renovations. A full tub and shower is now situated in the area that was her sink and counter. 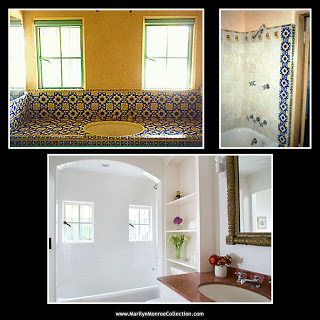 Her tub and shower were removed and the room was extended (the reason for the door to the bedroom needing to be moved). The toilet appears to be in the original location. 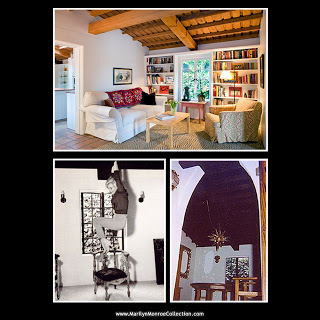 I was immediately struck by the original open ceilings in the living room. The vaulted ceiling consists entirely of wooden beams and planks. While the overall design of the ceiling is basic, I found myself staring up for extended periods of time, just mesmerized by the beauty and naturalness of the original wood from the time when Marilyn lived there. The room overall was much smaller than I thought it would be. While somewhat long, it’s very narrow. The tiles Marilyn selected in Mexico still surround the fireplace. Marilyn’s dining room now serves as a den for the current owners. Built-in cabinets have been added around the dining room window. 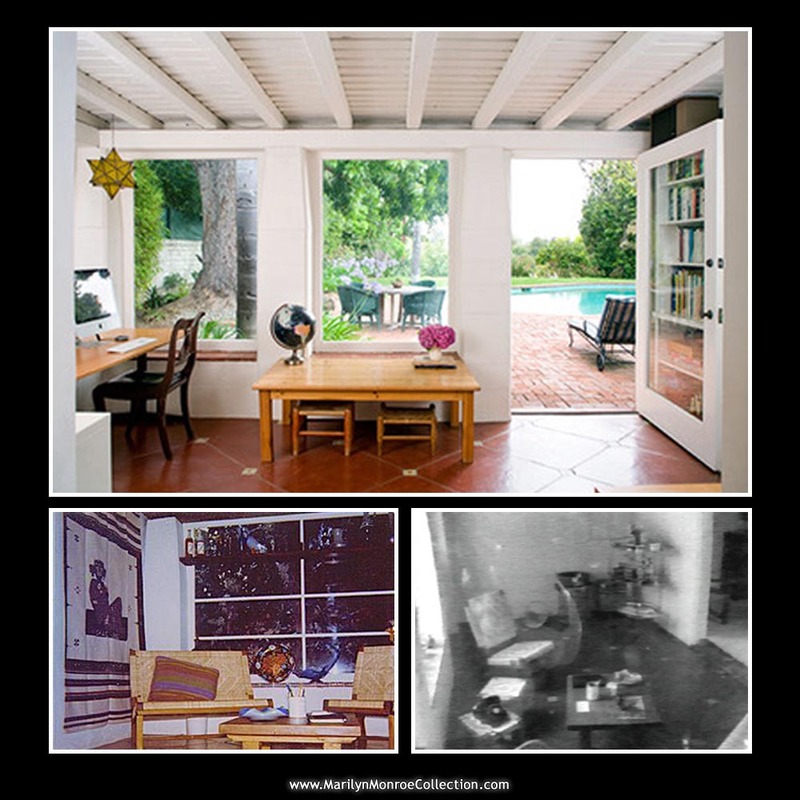 The beam above the window in the current photo of the house (shown below) is the actual beam Marilyn hung from in photos taken by Allan Grant. I was always under the impression the photos from this session were taken in the living room. But it appears as if they were taken in the dining room. 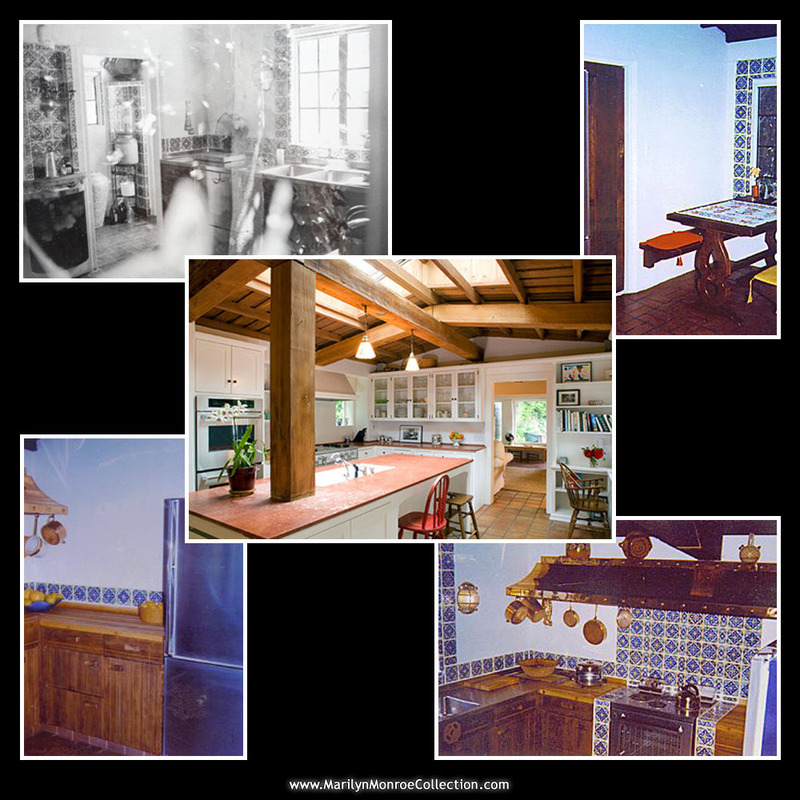 The kitchen has undergone major renovations and is not even recognizable today when compared to photos of the kitchen when Marilyn lived there. Only the location of the stove and the hood remain unchanged. The main house and guesthouse are now connected and the kitchen was expanded. 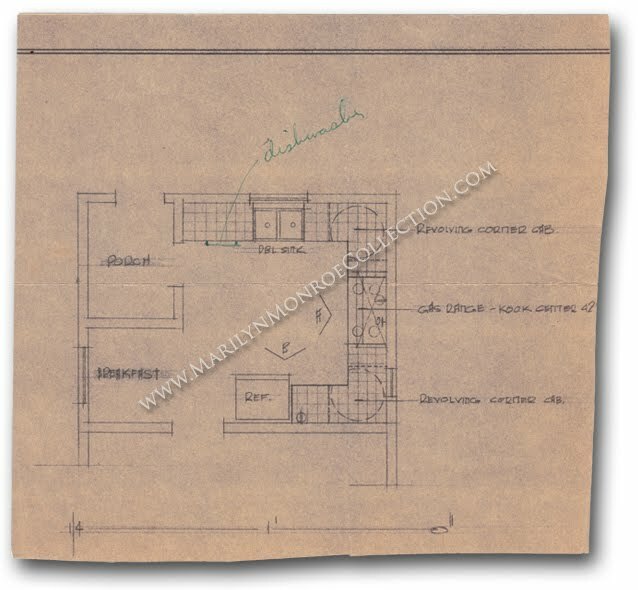 The area with Marilyn’s kitchen nook, with wooden table and built-in benches, and the counter area with the kitchen sink and dishwasher has been completely renovated. Marilyn had the kitchen completely remodeled when she bought the house. I happen to own her personal copy of the kitchen floor plan, shown below. 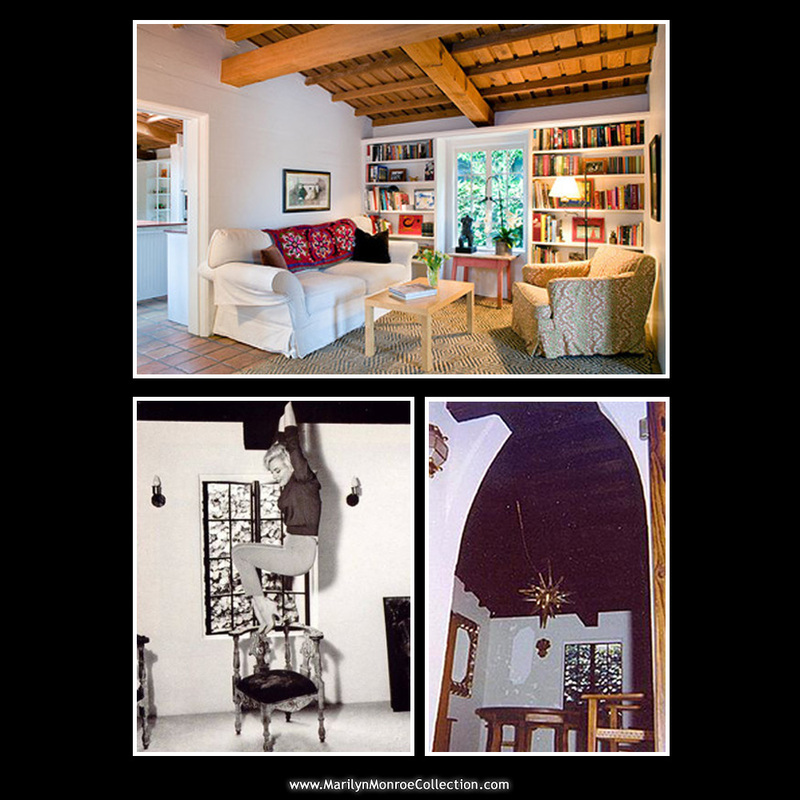 The sun room is primarily unchanged structurally from when Marilyn owned the home. I noticed right away that the tiles on the floor are the same tiles from when Marilyn lived there. This can be seen in the photos from 1962 and 2010. One wall now has built-in cabinets near the location of Marilyn’s liquor cart. Note: All photographs copyright their respective owners. This is really nicely done. Very enjoyable to get a close up look at. Thank you. I toured this house myself when it was on the market in about the mid 1980s, I think it was 1.1 million at that time. Not many changes had taken place at that time. I also noticed took a long thoughtful look at the tile at the front stoop. Thank you for this, it is really beautifully done. I am overwhelmed with feeling. I hope and pray to some day be able to visit Marilyn's home myself, but at least through your generosity I can know all these wonderful updates and changes in detail to the house. Very grateful to you Scott. Absolutely wonderful. Thank for for documenting you trip so well…and answering the questions that I am sure most of us unable to visit have. Just the day before I had dinner with Scott and a friend of mine. I saw how excited Scott was and that he wouldn't be able to sleep the night before his visit to this house. 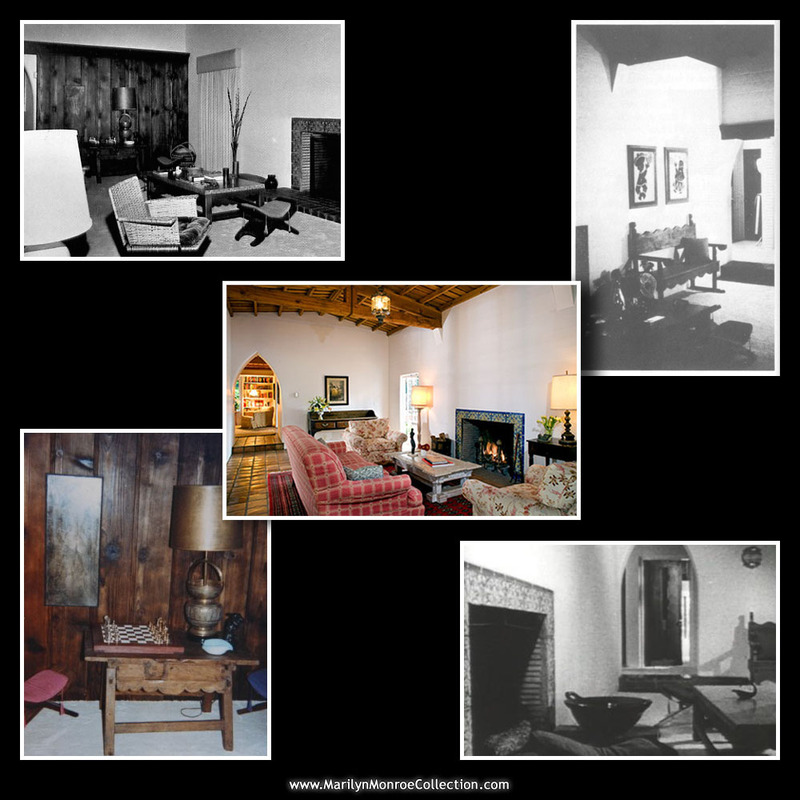 I'm so happy to read this blog about the house, with old and new pictures. It is still so much MM's house as it was back in 1962. She may have lived there for a short time, but I'm sure she was VERY HAPPY to live there. Thanks for sharing this Scott!!! This blog entry made me unbelievably happy. I can't even describe how much this mean to me… To get a look inside the Hacienda. 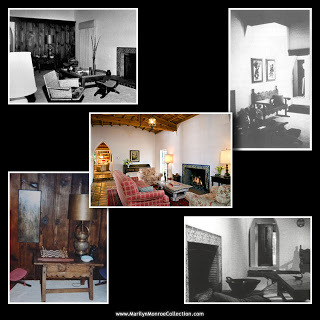 I have been searching the Internet for years to find some contemporary pics from the house with no luck. The newest pics I could find ware the ones from when Anna Nicole Smith lived there. Thanks you very, very much for sharing your experience and the informations here! This means a lot to me! One of my biggest dreams is to visit the house one day. But Denmark is far away from Brentwood 🙂 Again! Thank you so much! By the way… I have a question about the change of the bathroom in Marilyn's bedroom. The door into the room has been moved. But what about the passage between the living room and the bedrooms? How do you get from the living room to the bedrooms? Out from what I can see in old pics of the house and floor plans the door was placed where Marilyn's bathroom has been extended. Is the guest room now used as a passage? I'm confused about her bedroom also. Because the one they show has doors leading to the pool, but her bedroom didn't have that. Marilyn's house should be maintained as a public memorial to the person who, by virtue of her gentle and beautiful nature, will be remembered through the ages when other lesser mortals are long forgotten. I was in L.A. right after it sold. I've got to ask, how did you get access? I'm sure there wasn't an "open house". Thats great , i love that house. Ive visit the 12305 5th Helena Dr in Brentwood 22 years ago, and took some pictures of it. I also have lots of original shots that where taken back in 1962. Hi Peter. I always wondered where the photos came from when Anna Nicole Smith rented the house. Is that you in the photo with her? Thank you so much; i thoroughly enjoyed this! OMG what a wonderful job! i’m from Argentina (Buenos Aires) and it’s very special for me these photos. I’m feeling nostalgic, i really admire and love M.M. Thanks soooo much!